Meet the man behind many fabulous acts, such as Usher (yasss I love him), Outkast, Toni Braxton (yasss!! ), Whitney (y’all know THE Whitney), chile, I could go on and on. You get the idea, right?! 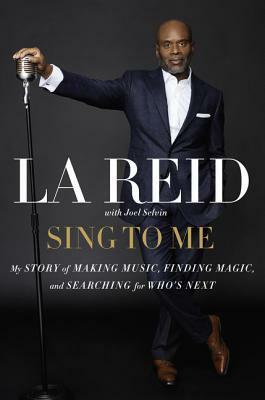 I didn’t know much about LA Reid or how he came to be one of the top figures in the music business, so let’s just say I was first in line to get this book from work. I thoroughly enjoyed it. Reading this book brought back so many fond memories of when music was great. Come on, LA and Babyface were just THAT good. Also, LA’s rise to fame wasn’t without bruises; reading about how hard he worked, especially in the initial stages, to get to where he is now is inspiring. So, should you read it too? Yes, you should. You won’t be disappointed.